Fried Fish = Awesome. 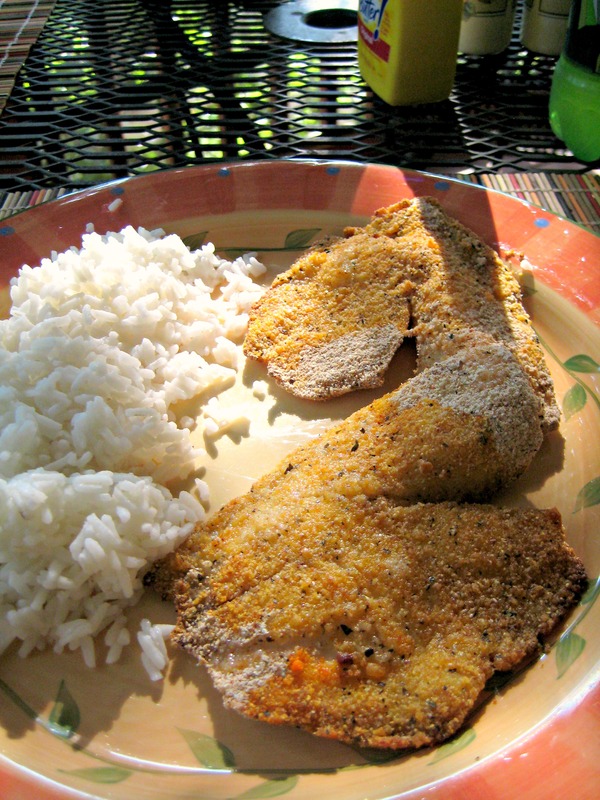 Weight Watchers Oven Fried Fish with a fraction of the fat = WAY AWESOME. Tonight is dinner #2 at my parents’ house while I house-sit/dog-sit/plant-sit for them. So I’m still foraging through their kitchen and finding recipes for the ingredients they already have. And, ya know what? I found another GREAT recipe! Ballin’. I really liked the salty, crispy breading. And a bonus: this is a great weeknight meal because it only took about 20 minutes total to prep and cook. I mean, this will probably be a new easy fish staple at my house that I’ll make many more times! I hope you enjoy it! In a shallow bowl, combine all dry ingredients. Place milk in another shallow dish. Dip fish in milk, then in crumb mixture. Place in pan coated with cooking spray. Drizzle with melted butter. Bake for 10 minute or until fish flakes apart with fork. Just curious on the WW points on this one?! Thanks and can’t wait to try it! OK so I don’t actually remember the WW points, BUT I do have the nutrition facts… fat 7g, saturated fat 3.5g, carbs 6g, protein 23g. Hope that helps!